Houghton North Farm is the ideal location for walkers of the Hadrians Wall Path, (the village of Heddon boasts the first major section of wall on the Path), or for those wishing to spend time exploring the beautiful and historic county of Northumberland. There are also many other parts of the region within easy reach for walkers to enjoy, including marked woodland trails, rugged moorland and hills, and some of the most beautiful and deserted beaches in the UK. 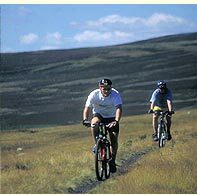 Northumberland has some brilliant and well-marked cycling routes. The Coast to Coast from Cumbria to Newcastle or Sunderland. The Reivers Route travels north west to Kielder from Tynemouth. 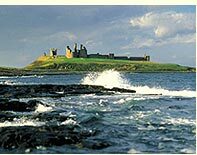 The Coast & Castles Route allows you to experience all the best beaches and castles between Bamburgh and Morpeth. Transport links to these locations couldn't be better, so making Houghton North Farm your base makes sense. 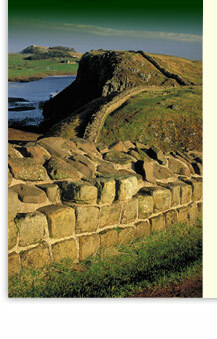 The Carlisle Railway provides access to towns along the route of the Wall; and the 'Hadrian's Wall Bus from Wallsend connects to the main sites and stops at Heddon. Roman sites along the wall are easily accessible, such as Brocolitia Temple, Corbridge, Chollerford, Housesteads and Vindolanda. Also nearlby is the Newcastle/Carlisle Railway. There is also excellent shopping available in both Newcastle and the Gateshead MetroCentre can be easily reached from Heddon.